Graduation dresses for middle school girls are abundant in department stores and online clothing retailers. As your daughter makes way to her high school years, the perfect middle school promotion dress is sure to help her feel her best during this coming-of-age ceremony. 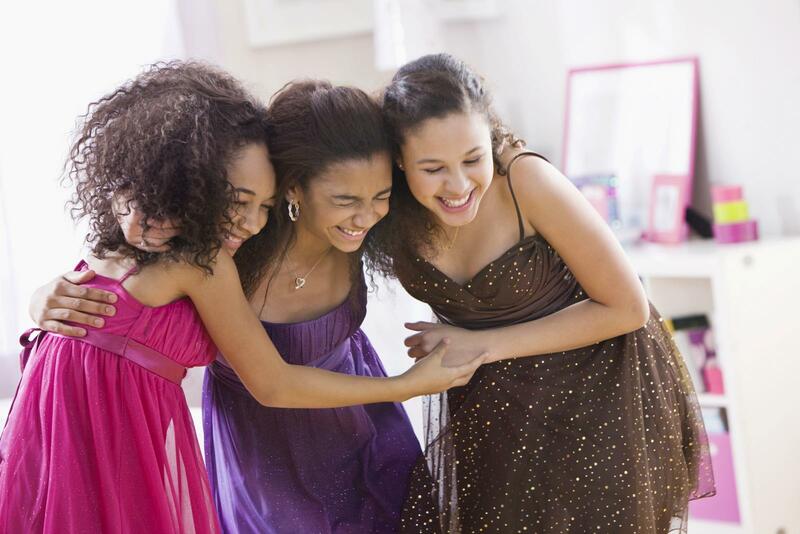 Although there are plenty of trendy graduation dresses for middle school girls, keep in mind that this event will be photographed and cherished for years to come. Graduates will also be walking into the venue, sitting for a long period, and walking across the stage so comfort and flexibility are musts. Modern and traditional dress styles come in various prints and colors that are sure to entice even the pickiest fashionistas. A sheath dress is a basic staple perfect for young teens at graduation. The straight and narrow cut fits most body types and is age appropriate. The length of the dress is normally right above the knee which keeps this look youthful and fresh. Whether you want the formal look of all-over lace or the playful look of a bold print, you can find it in the sheath style. Most graduations take place in June making the summer dress, or sun dress, a favorite amongst girls who admire its floaty shape and floral prints. Summer dresses normally have either wide straps or spaghetti straps. This style often features ethereal fabrics that layer well under a graduation gown if you'll be wearing one. While skater dresses can be on the casual side, adding a glittery belt or choosing one with an embellished top makes it more formal. This kind of dress was designed with the needs of young teens in mind with its full circle skirt and form-fitting top reminiscent of a figure skating outfit. Typically designed to have short sleeves or half-sleeves, the skater dress stands out as being ultra comfortable and girly. If you won't be wearing a graduation gown, your ceremony takes place at night, or you live in a colder climate longer graduation dresses keep you warm and look more formal. Maxi dresses are full-length and often feature comfortable materials in solids or bold prints. You can find maxi dresses with long sleeves, racerbacks, and even strapless versions. This style of dress is usually more fitted at the top and a little loose along the bottom, but it keeps a narrow profile. If you want a fully formal dress, opt for a long evening gown. 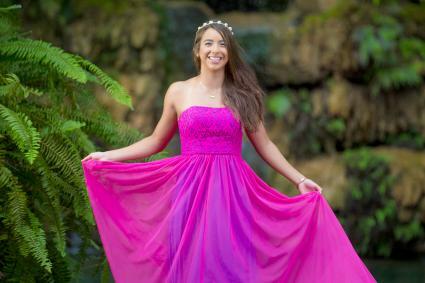 The slim fit and glittery embellishments make it distinguishable from poofy formal dance dresses. Evening gowns typically reach the floor and have either short sleeves or wide straps. A midi dress is meant to hit you about halfway down your calf. These dresses carry some of the casual comfort of a maxi dress but give you more leg coverage and the chance to show off your cute shoes. Forever 21 - Despite the age of 21 being featured in the store's title, this shop is more popular among girls in their tweens and teens. You can find a wide variety of age-appropriate styles and sizes, including plus sizes up to a 3X. Kohl's - With several junior dress styles available at different price points that will win parents over, Kohl's also has dresses from celeb designers that are certain to appeal to young teens. Macy's - With graduation dresses that range from classic to contemporary, Macy's has even more options available online than you can find in their flagship stores in big cities like New York and Los Angeles. H & M- Known for their ultra-trendy and affordable clothing, H & M is on the cutting edge of teen fashion. You can find almost any style of dress in tween and women's sizes for under $35 with most falling in the $20 range. Rue21 - Trendy styles and streetwear-inspired designs are what rue21 is all about. Teen girls can find casual and formal dresses for under $15 at this stylish retailer. Once you've found the gown, it's time to pull the look together with accessories and shoes. To avoid tripping, heels should be no higher than one inch. A simple black pump will pair effortlessly with a sheath dress while a ballet flat or gladiator-style sandals will carry the look through for a long gown. If opting for a sunny and cheerful summer dress, slip on an ankle strap sandal or a pair of kitten heel pumps in a complementary color. A short blazer is an in-style accessory that can help cover up arms while proving to be a worthwhile closet staple at the beginning of the new school year. Earrings that match a bracelet and a necklace can be specifically chosen to complement the graduation ensemble. Your middle school graduation is a time to celebrate being you. Choose a dress that compliments your body type and your personal style to show off the best version of you at the ceremony.